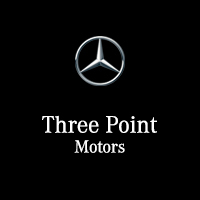 Thanks for taking the time to find out more about Three Points Motors, your certified Mercedes-Benz dealer proudly serving Vancouver Island and the Greater Victoria area. Since we first opened our doors, we’ve committed ourselves to embodying the true spirit of the Mercedes-Benz name, which means paying attention to the smallest details and delivering consistent quality from beginning to end. Three Point Motors has earned a reputation for our dedicated service and commitment to excellence, and it’s something we approach with renewed energy each and every day. Rely on us to satisfy all your luxury auto needs at 2546 Government Street in Victoria, BC. If you need any help or have any questions, our team is standing by to take your calls.